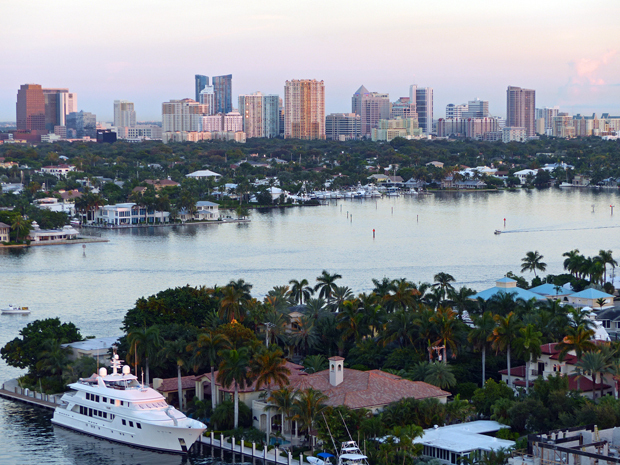 Fort Lauderdale, FL — THE Domain Conference is reveling after a successful first year that saw industry leaders from around the world descend upon the Hyatt Regency Pier Sixty-Six to exchange secrets, tips, and expertise. Occurring from Sunday, September 27 through Wednesday, September 30, multiple days saw panels dedicated to exploring the latest trends in everything from website development to digital branding. Ambition Insight Founder & CEO Brett Napoli was among the pundits providing knowledge to multiple panels over the course of the conference. 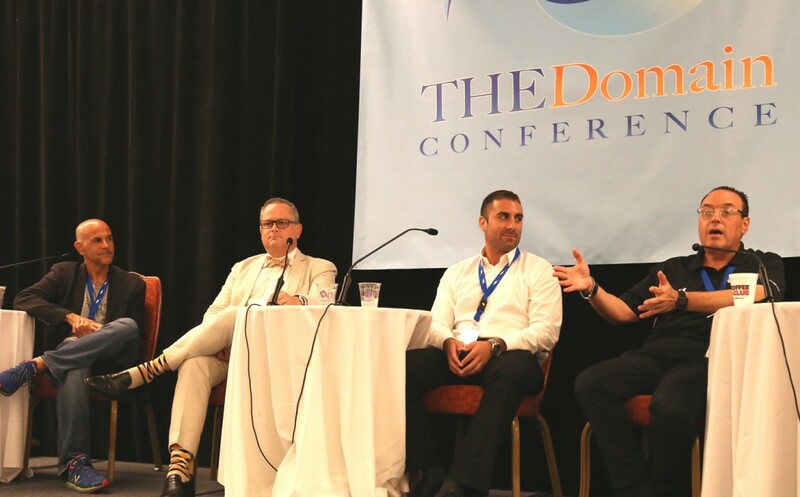 Brett Napoli (Third from Left) Contributes During the Digital Branding Panel at THE Domain Conference. Napoli’s talks began on Sunday by moderating two 1-hour WordPress discussions that provided an introduction to the world’s most popular Content Management System (CMS). His proficiency in everything WordPress was shared with Domainers from around the world looking to develop their properties. 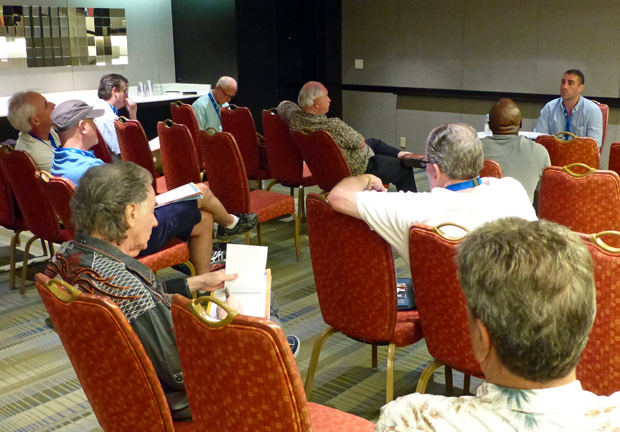 Monday allowed the Fort Lauderdale-based Website Developer and WordPress expert to dive deeper into the inner workings of developing an engaging website. 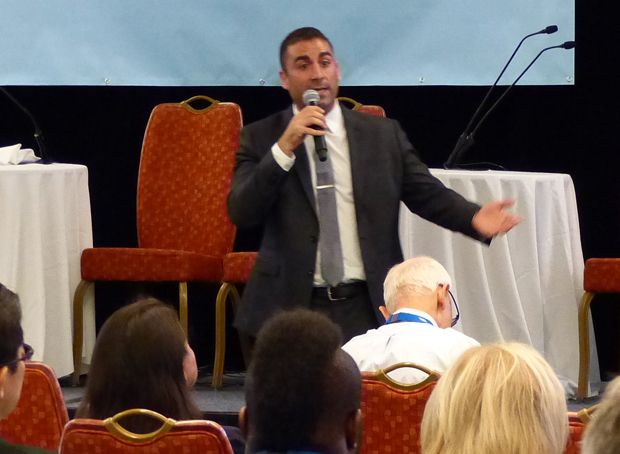 In a 1-hour presentation preceding Keynote Speaker Morgan Linton, the Ambition Insight CEO traversed the intricate philosophy surrounding how professionally developing dormant domain names can create revenue-generating businesses. 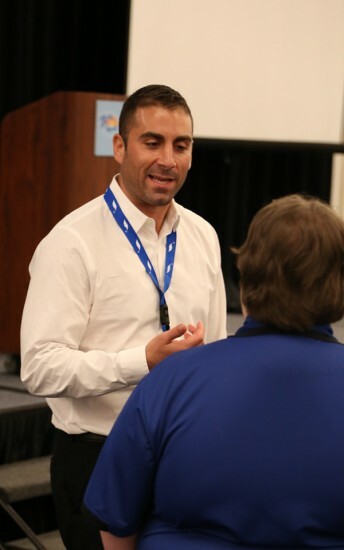 Napoli Speaks With an Attendee Following the Digital Branding Panel at THE Domain Conference. During the presentation – Essential Components of an Engaging Blog or LeadGen WordPress Website – Napoli analyzed key blogging practices and popular growth strategies while introducing the audience to essential design components, strategies for increasing pageviews, and tactics for maximizing advertising revenue. Napoli’s final appearance came on Tuesday, September 29, switching gears from website development to social media. During the panel, Digital Branding — Using Domains and Social Media, the the social media guru who has amassed more than 100,000 combined followers apportioned his knowledge on leveraging the power of social sharing to increase the awareness of a brand. Surrounding these multiple appearances, Napoli and Ambition Insight provided one-on-one WordPress workshops throughout the weekend.